Magical City of Osaka – Advencheer! We woke up early and bought ourselves some light breakfast from Lawson. After checking out from Nikko, we went straight away to the JR Station in Kansai Airport, ready to leave. We were about to hit Universal Studios Japan (USJ)! 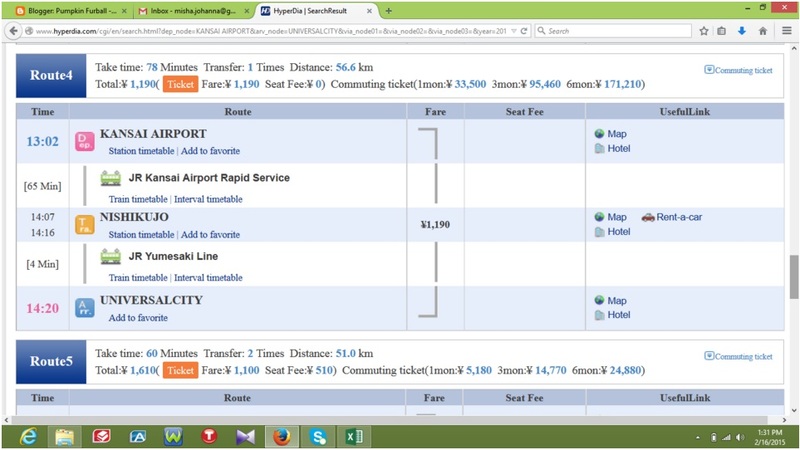 I have searched for all information regarding the transportation types and fees before the trip. 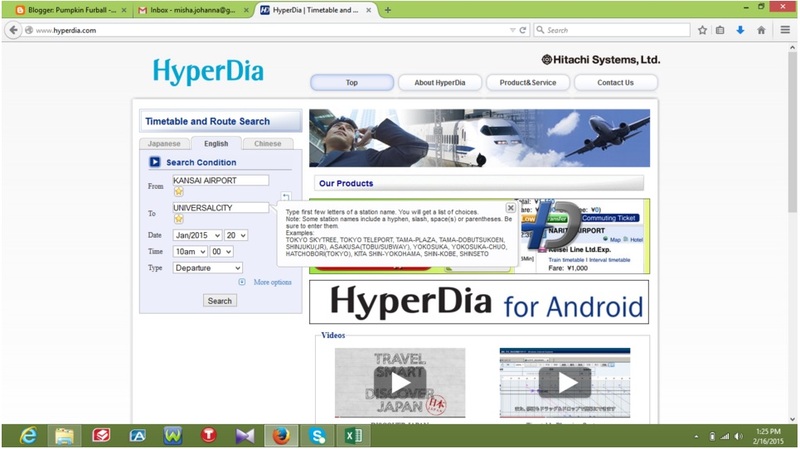 I recommend you to do that as well, if you’ve never been to Japan and planning to go there. This will save so much of your time and avoid all the hassle trying to figure out how to get to one place from another. I have to say, even though the transportation system is excellent, it would still be quite confusing, at least at first, if you are a non-Japanese traveler. Umm… no, if you don’t understand Japanese language, to be more specific. Signs and information boards in the stations are still dominated in Japanese language, with their own alphabets, especially if you go to less touristic areas. Which is, okay. I mean, you’re in Japan. Of course there are Japanese alphabets everywhere. If you’re not willing to put a little bit of effort to understand ‘local things’ in other countries, just don’t travel then. Some information is provided in English, too, some others are not. That’s why, I think it’s better if you plan out a rough itinerary ahead, instead of spending time getting dizzy trying to understand things on the spot. Unless you like spontaneous things and don’t mind getting lost once in a while, then okay. Me, I had limited time (and money) during my trip, so I decided not to mess up with it. Just like searching for airline tickets, you just need to fill out the ‘From’ and ‘To’ boxes with your current location and desired destination, then add the date and time. 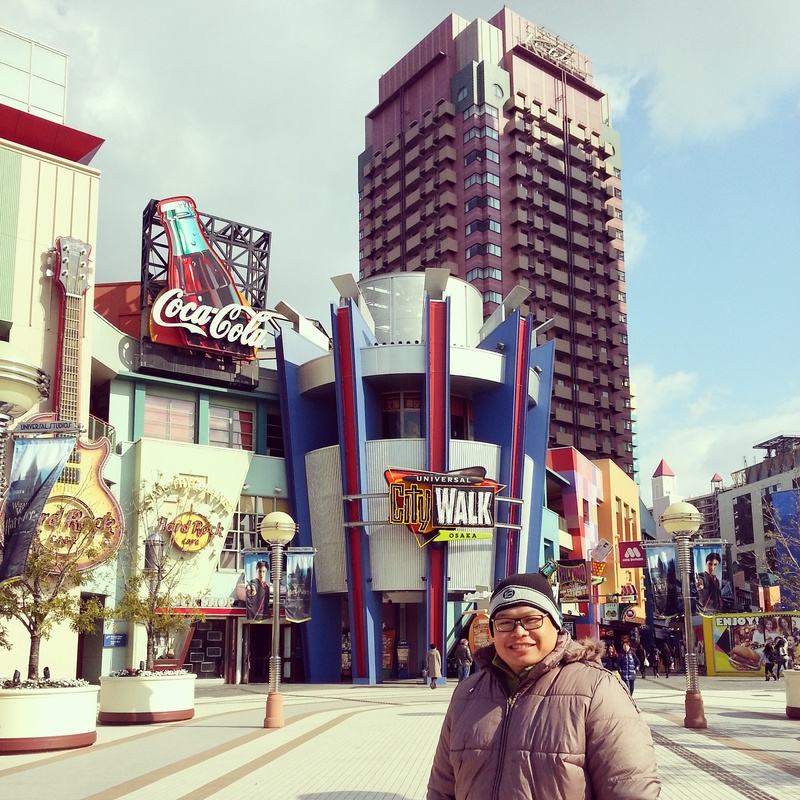 For my case, I needed to leave Kansai Airport and go to Universal Citywalk. You will get a list of choices of stations once you type the first few letters in both boxes, as mentioned in their instruction above. According to this route, we had to take JR Kansai Airport Rapid Service first, get off at Nishikujo Station, then take JR Yumesaki Line to reach UniversalCity Station. This one-way journey cost 1,190 JPY in total, as you can read in the trip summary beside the ‘Route4’ blue box. Please remember to always check the total fare, as the fare you see on the right side of the station names DO NOT include the seat fee (if applicable). Always check it on the summary on top. For this case, there was no seat fee. We arrived at Universal Citywalk at around 11:00. The place was just great! 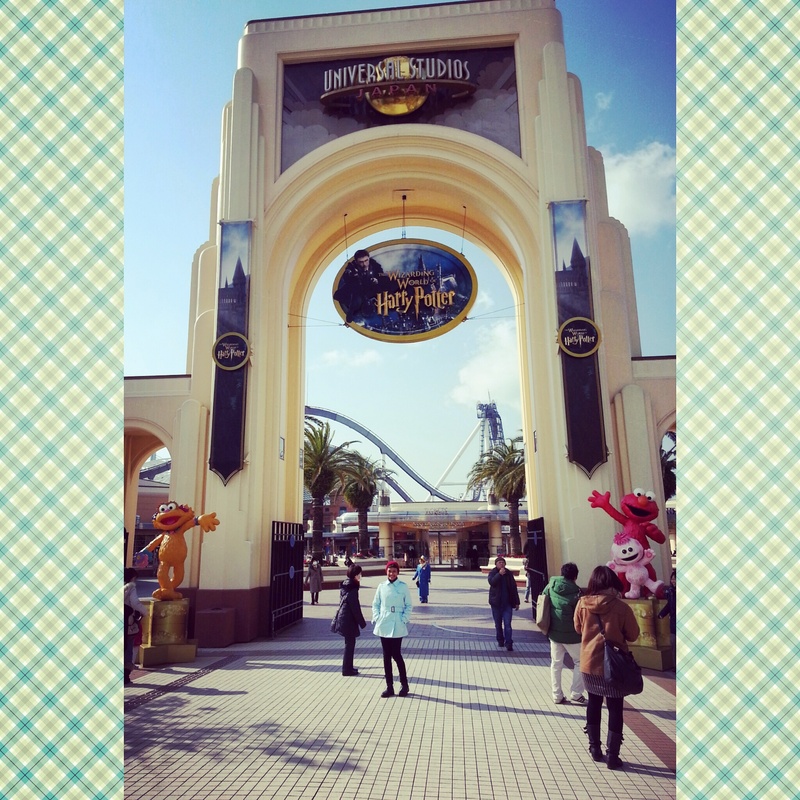 Even if you don’t enter the USJ theme park, you can still enjoy a lot of things in the Citywalk area. You can find lots of cute souvenirs, delicious food, game zones, and even a Takoyaki Museum! It was such a pity that the rollercoaster behind me was not working the day we visited the theme park. But whatever, we just wanted to see Harry Potter, haha!!! By the time we went there, we paid 6,980 JPY per person (already including tax) for a regular 1 Day Pass. I suggest you to check www.usj.co.jp/e/ticket/ for the updated information. They have other kinds of passes as well that may suit your interest better. 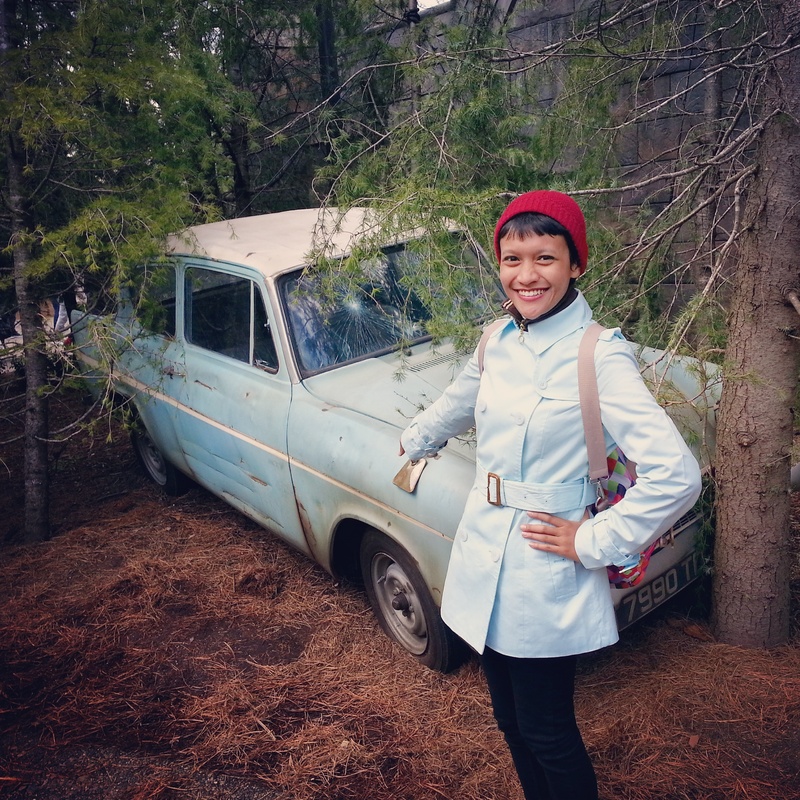 Now, let’s check out the Harry Potter zone! 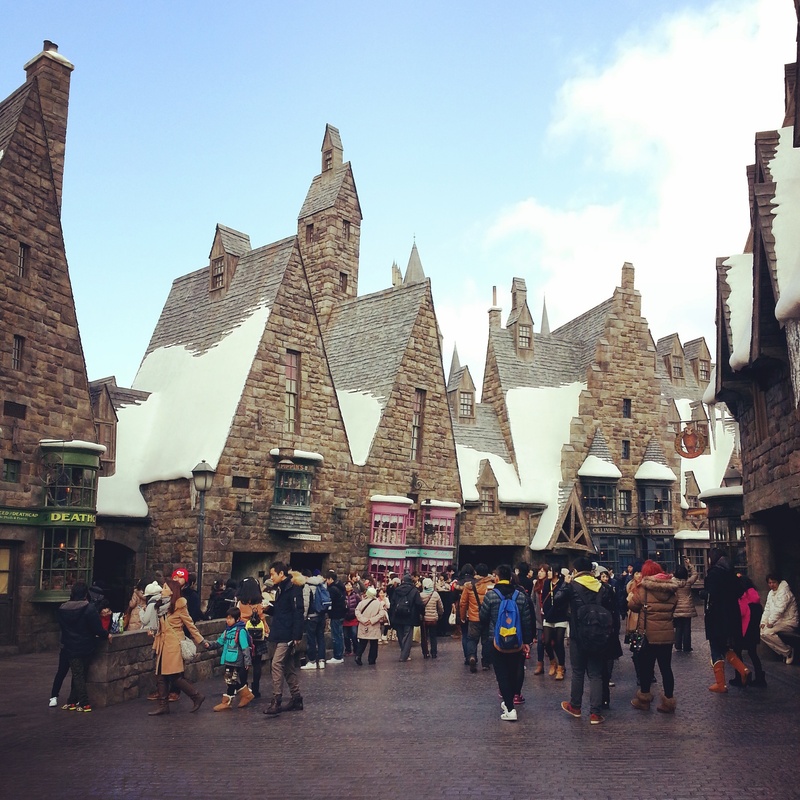 …and welcome to The Wizarding World of Harry Potter! 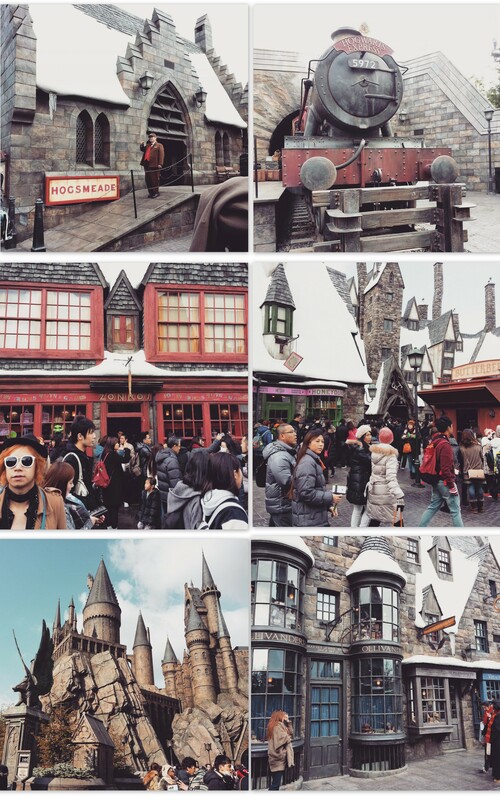 Done with The Wizarding World of Harry Potter, we wandered around USJ to try other attractions. One thing I realized from this place, was that most of the visitors were actually local people. That’s why most of the attractions were in Japanese only. It was interesting to see how the locals put so much effort to look fashionable, or even bizarre, just to go a theme park. …okay, maybe for them it isn’t only about ‘going to a theme park’. I’m pretty sure they consider a theme park as a place to express themselves to the maximum, without any fashion limitation, without anyone frowning over them for looking like a total freak… haha! 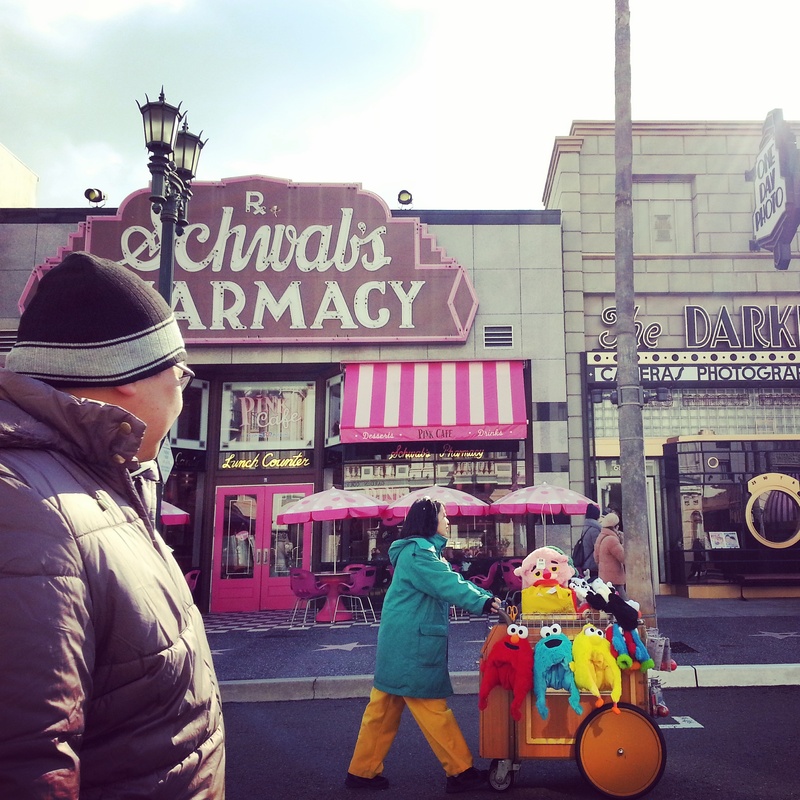 USJ is definitely the Harajuku of Osaka! You see the Elmo winter hats there? The locals really wear them there, confidently. I LOVE THIS PLACE. 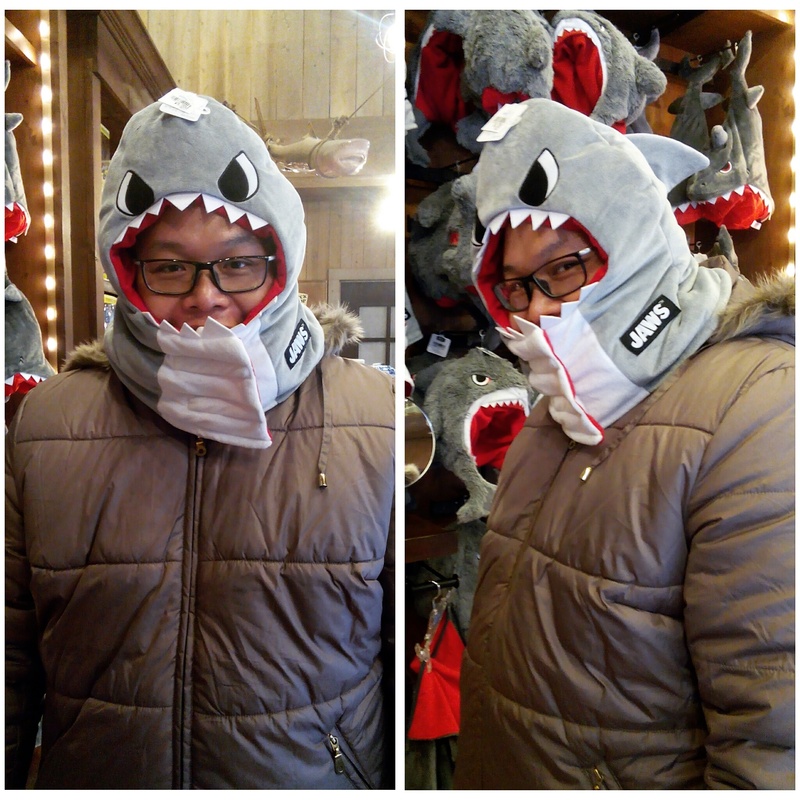 Jutet, trying to look local with JAWS winter hat. 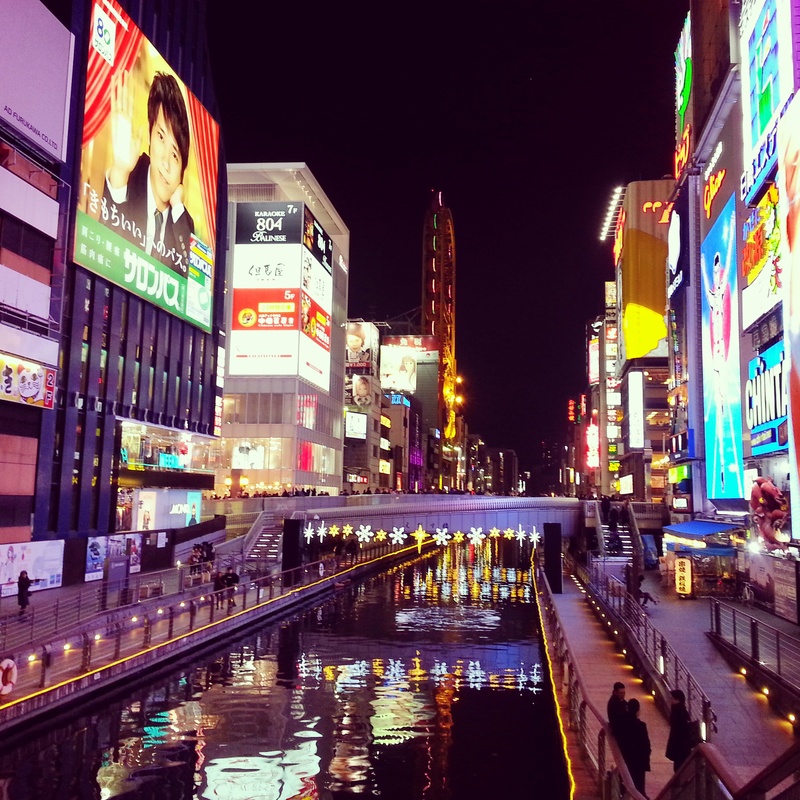 Now it’s time to hit the downtown of Osaka: DOTONBORI! First, we had to go to Osaka Teikoku Hotel at Nishishinsaibashi, Chuo-ku 542-0086, Namba. We took the JR Yumesaki Line again, back to Nishikujo, then took the Hanshin Namba Line Rapid Express to Osaka-Namba. When we got out of the station, we were so confused as we didn’t know which direction we had to take to get to the hotel. So we asked a guy in the street regarding the hotel address. The girl was just cute and super friendly. She didn’t speak much English, but she tried to make a fun conversation with us. 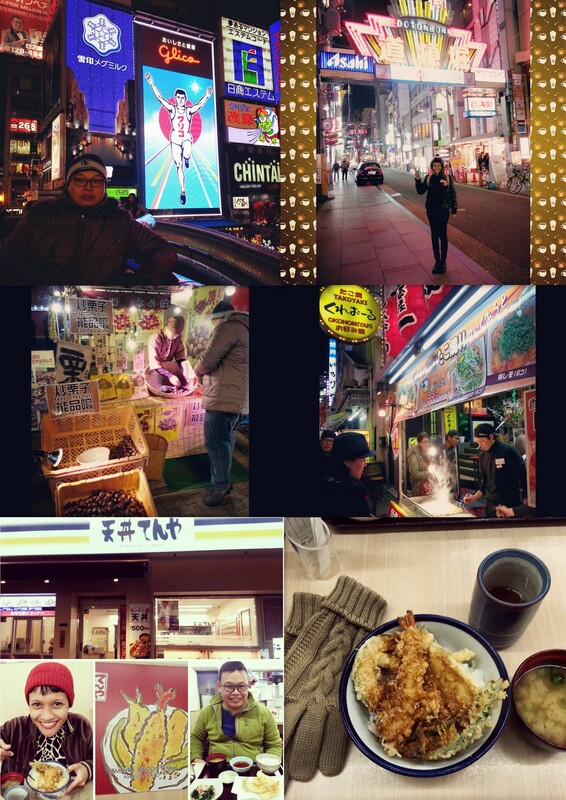 Her name was Misako, originally from Osaka, and she said that she lived near our hotel in Namba area. We were chatting along the way as we entered smaller streets in the area. We didn’t realize at first, but suddenly Jutet saw there was a taxi behind us, driving slowly to wait for us to walk the road ahead. The amazing thing was that… the taxi driver didn’t honk. Not even once. I couldn’t imagine what a taxi driver in my country would do if we block his way! When we stepped aside, I saw the taxi driver nodded his head to thank us and slowly drove away, ahead of us. OH. MY. GOD. That’s when I realized, that the Japanese hospitality was not only shown by those people working in a hotel, or by all those extremely cheerful and smiling staff in USJ, but also by… this. Strangers you meet in the streets. Real people. People that you don’t know, people that don’t know you, and people that don’t want anything from you. These people in Osaka, and in Japan in general, are just naturally polite and sincere. It’s not about hospitality with such expectation of some compensation in return. It is about MENTALITY. We thanked Misako a lot for taking me to our hotel. We waved goodbye as she rode her bike away. We checked in and just left our things in the room as we went out again for dinner and for a bit of nightlife in Dotonbori. The billboard of a running man is actually the advertisement of Glico, a big confectionery company from Japan. Remember Pocky? That’s one of their most famous products. We found takoyaki along the street, and we definitely tried it, as it is a special dish originally from Osaka. According to Wikipedia, takoyaki is a ball-shaped snack made of a wheat flour-based batter and cooked in a special pan. It is typically filled with minced or diced octopus, tempura scraps, pickled ginger, and green onion. We chose to have dinner in a down-to-earth restaurant: Tempura Tendon Tenya. All dishes there cost around 500 JPY only, and you get to have free ocha once you enter the restaurant. Super nice! What I like about most restaurants in Japan, is that they always have their menu along with the prices on a board in front of the restaurant. So you don’t have to wonder or worriedly guessing how much you will spend in one place for one time meal. You’ll always have an idea before deciding to eat in each restaurant. “Babe, why don’t we give it a try?” I asked. It turned out to be… professionally done, but boring after a while. There were some normal girl-and-guy love-making scene, and also some lesbian scene. Why was there no gay act in this channel? Maybe, oh, maybe, it’s not popular to be gay in Japan. Besides, it’s obvious that women are more objectified in this kind of TV channel. Sigh.